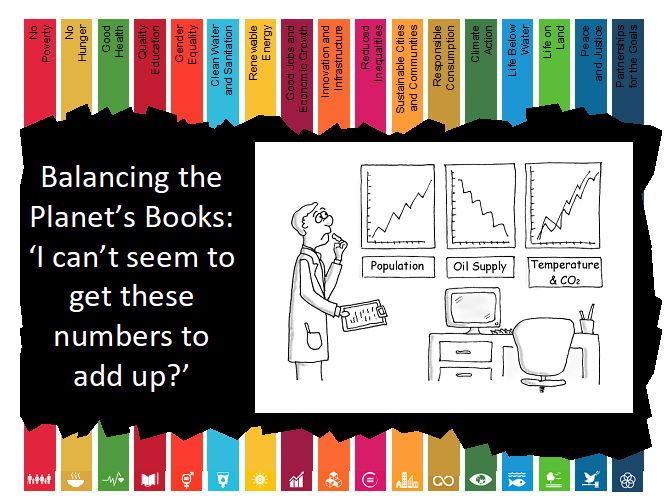 Sustainable Development Goals, or a dog’s breakfast? Over the last 18 months, Crawford School has rolled out an innovative program that engages, connects and empowers young people to deliver the United Nations Sustainable Development Goals (SDGs). Developed by PhD candidate Ian Chambers, the Young Persons’ Plan for the Planet was first implemented across Australia. Now, it is going international. “The background is relatively straightforward,” says Mr Chambers. “I had previously published a book entitled Plan for the Planet prior to commencing the PhD at ANU. The book focused on the application of strategic planning and management approaches to achieving sustainability. UNSW, Questacon and Inspiring Australia provided initial funding to implement and research the outcomes of the program, along with support through Crawford School and ANU. Mr Chambers then initiated the program in partnership with Questacon, Future Earth (Australia) and the United Nations Information Centre. The program focuses on a range of key skills, including STEM, business management, global competencies and challenge-based learning. Teaching complex sustainability concepts to senior high school students is “as simple as 1, 2, 3,” Mr Chambers explains. Initially students target each SDG, before combining these into their regional and national SDG plans. Mr Chambers says the response to the pilot program has been “tremendous”. Seventeen schools and over 200 students from across Australia participated, covering 15 different ‘EcoZones’ and most regions in the country. The final plan was presented to Australian parliamentarians in Canberra as part of the launch of National Science Week. The program has since been piloted internationally, with 120 students working through 10 schools across key regional areas of Mauritius. For this pilot, students from the Australian program mentored schools and students in Mauritius. Mr Chambers said it was a great success. The program attracted active support from key sponsors such as the Rajiv Ghandi Science Centre and the Mauritius Commercial Bank. The result was the presentation of the national SDG plan developed by students to every Mauritian Member of Parliament. The program has been the topic of a podcast at Policy Forum, Crawford’s platform for public policy analysis and debate. “The preliminary research is also showing some interesting results,” says Mr Chambers. The program will now use this mentoring model to extend to more countries, initially in Asia, Africa and North America. If you are interested in learning more about the program, contact Ian Chambers at Crawford School, ANU.